In recent years, the annual E3 trade show, has increasingly been overshadowed by the press conferences that precede it. Sony, Nintendo, and Microsoft have traditionally used the venue to crow about their sales and business successes, and unveil their latest offerings via live [or seemingly live] demos with game designers. But that’s all changing now. Boring corporate biz speak is now reserved for quarterly reports, and live demos are increasingly being supplanted by prerecorded material. Celebrities guests and superstar presenters are on the wane, and influencers from the esports and livestream scene are on the rise. But this year, I watched the precedings from my couch, for the most part. (I saw the Microsoft press conference on my phone while I did laundry.) It seems clear that the nature and purpose of these events are shifting. The Microsoft press conference was chockablock with interesting games, but it was essentially a series of trailers and Let’s Play videos. I think there are a couple of things going on here. One, of course, is that there’s less of an emphasis every year on the people in the room, and more of an emphasis on the global streaming audience. Two, I think there’s an effort to limit banter and live demos, since every flub and glitch has the potential to be endlessly memed and GIFed. I’m writing this on Monday, morning, catching up on clips from the Bethesda conference that I missed. 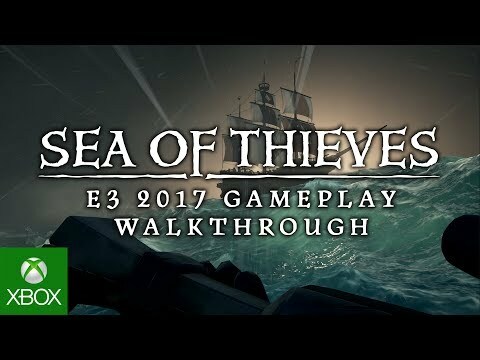 So far, I thought the Sea of Thieves demo at the Microsoft press conference was particularly interesting, firstly because there was a lot more graphics and a lot more game there than the last time we saw it, but also because it was presented as a sort of hybrid trailer and Let’s Play, with a voiceover narration accompanying lengthy chunks of what looked like actual gameplay footage. 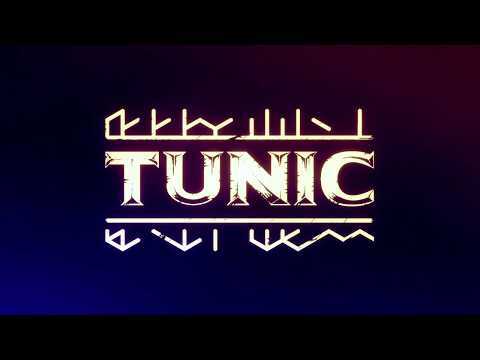 Last year, they did a formal trailer and then a more Twitch-like gameplay reveal. I thought this year’s fusion of the two was far more successful. Bryant Francis (@RBryant2012), contributing editor: Sending this on Monday afternoon, caught up on all conferences except obviously Sony. “I hope this means that developers get to spend less time on E3 vertical slices. I agree with Chris that everyone seems to be following Sony’s lead from last year of trying to keep these things as trailer-focused as possible. Ubisoft’s the only developer to not greatly change their flow (dropping Aisha Tyler is notable I guess), but everyone seems to have caught the message that for marketing purposes, pre-recorded gameplay footage, or a chance to play the game on the floor, matters more than spokespeople or live gameplay, whether it’s a trailer or just a demo vehicle. Demo-wise, my two biggest hits came from the Ubisoft conference. First, the Mario/Rabbids game turning out to be an unexpected game genre was a great surprise, and as I think Alissa said on Twitter, it’s a shame that the game’s existence was leaked a while ago, otherwise seeing Shigeru Miyamoto come out on stage with Yves Guillemot would have made a bigger impact. 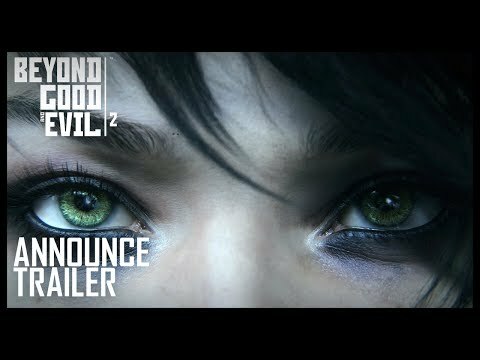 And ironically, while everyone’s talking about ‘more gameplay, less cinematics’ at E3 this year, the Beyond Good & Evil 2 trailer absolutely rekindled my interest in that game. If you’re going to introduce your game with a CG trailer, it’s worth loading every inch of it with style and verve that’s going to make the gameplay worth waiting for. Also while I’m at it I should say I’m super impressed with Microsoft’s announcement to take backwards compatibility all the way to the original Xbox. I’ll probably blather about this more on our livestream later this week, but I think the fact that the Xbox One X (oy) can now be sold as “it plays ALL Xbox games at their best quality” is a huge selling point for the device. It has been quiet here, of late. The shoutcasting has stopped. I write to you on Monday evening, not long after the latest dispatch from Sony, and I must say: E3 has changed. The lion’s share of the excitement will be over soon, and after witnessing much of it from the comfort of my couch I have to say — I like the change. This year more than ever, it’s clear that the big publishers are catching on to what many game devs already know so well: enthusiastic people (whether they be devs or YouTubers or Twitch streamers) are great vectors for advertising your game. So is PAX. And since nobody but Microsoft seems to have much of anything to talk about this year except games, it’s not hugely surprising that Electronic Arts, Bethesda, Ubisoft, and Sony all stacked their E3 presentations with lots of trailers (Sony was basically back-to-back trailers, for the second year in a row) and gameplay videos. Sometimes those gameplay videos were live, sometimes they were pre-recorded, but most were introduced with minimal drama (no overwrought whinging about surveillance states, for example) and maximum enthusiasm. It was pure salesmanship, to be sure, but refreshingly open and earnest — I noticed Ubisoft even took the time to flash a link to its online merch store multiple times throughout its show. Microsoft stood apart a bit though, huh? I think that Xbox showcase reminds us what E3 has typically been: a place where publishers sell a vision of what they want to be in the year to come, replete with new hardware, new services, and new games from devs across the industry. Kris also mentioned something in chat that I didn’t notice right away: It’s sort of interesting that this year indie devs had a presence at Microsoft’s E3 event (Tacoma, The Artful Escape, Ashen, etc) but were basically absent from Sony’s showcase. That’s a sharp turnabout from a few years back, when Sony made a show of embracing indie devs and promoting them as a core pillar of the PlayStation 4. Now that Sony has plenty of its own games to talk about, it looks like the company is a lot less interested in promoting indie devs on its stage. And if you’re an indie dev, that doesn’t seem like a great look. Bryant Francis: Jumping in on Tuesday after the Nintendo and Sony streams. What the heck happened to the indies at the Sony press conference last night? Has it been 48 hours yet? Do we need to file a missing persons report? I don’t know if it’s just a case of the development cycles of Sony’s current games, but last night’s trailer reel + twitching bodyfest didn’t reveal a lot of new info about the direction of games on PlayStation. It’s possible this is one of those case where “E3 doesn’t matter the same way anymore so we’re saving these for PSX or something,” but this is the first year Sony didn’t seem to be banking on revealing a new game with an unknown release date. I also heard from the floor that there was some confusion over why Knack 2 has been playable at the press events but didn’t show up in the press conference last night. Given our love for Sony hardware enthusiast Mark Cerny, I’m worried that game is getting hidden due to the intense online anger over the first game. Nintendo continued the (4-days old) tradition of a short conference with a big focus today, and I admit to being extremely surprised by the revelation of Metroid Prime 4, which is being developed by a new team that’s not Retro Studios. But then a 2D Metroid Game was announced in the Treehouse session afterward?? Will 2018 (maybe 2019) be the year of Samus Aran? A return to Metroid does actually seem to be a nod to Kris’s ongoing theory that Nintendo isn’t going to deal much with the casual market anymore, since that was a series it seemed to push aside for a little while for its seeming lack of broad appeal. Really I’m not down on the fans. I am confused with what the ESA is doing here with this event. Developers I spoke with noted how networking is especially difficult this year, because you simply can’t assume that everybody is a “somebody,” and those “somebodies” are more difficult to connect with. E3’s been going this direction for years by lowering the barrier for press accreditation, though adding so many straight-up fans into the mix only exacerbates the issue. E3 is trying to serve two masters here: Industry and fans. It wants to be “old” industry-centric E3, and it wants to be Comic-Con. I really wonder how many more game companies, especially after this year, might pull out of the show floor because they’re (further) questioning the value proposition of E3. It’s a tricky scenario. ESA needs to maintain and grow its event business, but it seems the growth it needs can only come from increasingly angling the event toward fans, and going head-to-head with large consumer-focused events like PAX. E3 2017 is a weird an awkward transition towards that. Sony: They’re pretty much done with highlighting indies, E3 2017 confirms. That said, PolyArc, a small studio made up of ex-triple-A devs, was included in Sony’s press conference. 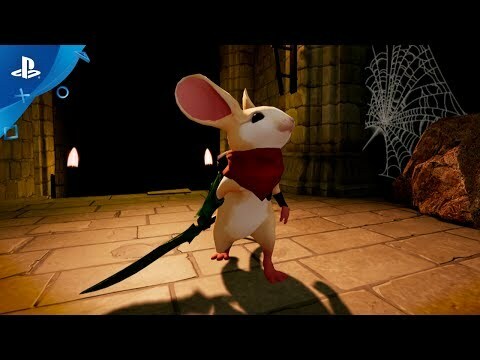 They’re making a really nice-looking VR game called Moss, starring a mouse. Microsoft: Obviously their big thing is Xbox One X. Price is a bit high, value proposition is shaky, but I’m not sure where else console-makers (that aren’t Nintendo) can go. We’ll see how it goes this November. Nintendo: Metroid Metroid Metroid. I’m just glad they didn’t forget about Metroid. Also wow at some of these Super Mario Odyssey hat-possession gifs. Bethesda: Yeah, I’m playing through Wolfenstein: The New Order again.